"Continental Tire" redirects here. For the type of tire, see continental tire. Continental AG, commonly known as Continental, is a German automotive manufacturing company specializing in, brake systems, interior electronics, automotive safety, powertrain and chassis components, tachographs, tires and other parts for the automotive and transportation industries. Continental is based in Hanover, Lower Saxony, Germany. Continental is the world's fourth-largest tire manufacturer. Continental was founded in 1871 as a rubber manufacturer, Continental-Caoutchouc und Gutta-Percha Compagnie. In 1898, Continental started development and production of the vehicle tires with plain tread, which was the major success of the brand. In 1904, Continental became the first company in the world to manufacture grooved vehicle tires. Another major product Continental invented was detachable wheel tire that was made for touring vehicles (1905). In the late 1920s, Continental merged with several other major rubber industry companies to form the largest rubber company in Germany “Continental Gummi-Werke AG”. After acquiring Siemens AG's VDO automotive unit in 2007 Continental was ranked third in global OEM automotive parts sales in 2012 according to a study sponsored by PricewaterhouseCoopers. In 2008, Continental appeared overextended with its integration of VDO and had since lost almost half of its market capitalisation when it found itself to be the takeover target of the family-owned Schaeffler AG. By 2009, Schaeffler successfully installed the head of its motor division at the helm of Continental. 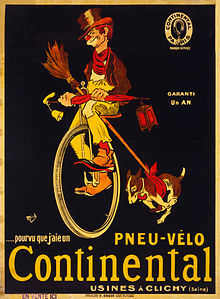 Continental sells tires for automobiles, motorcycles, and bicycles worldwide under the Continental brand. It also produces and sells other brands with more select distribution such as Viking (limited global presence), General (US/Canada), Gislaved (Canada, Spain, Nordic Markets), Semperit (industrial applications), Euzkadi (Mexico/Latin America) and Barum to serve EU & Russia. Continental's customers include all major automobile, truck and bus producers, such as Volkswagen, Daimler AG, BharatBenz, Ford, Volvo, Iveco, Schmitz, Koegel, Freightliner Trucks, BMW, General Motors, Toyota, Honda, Renault, PSA and Porsche. In 2001, Continental acquired a controlling interest in Temic, DaimlerChrysler's automotive-electronics business, which is now part of Continental Automotive Systems. The company also purchased German automotive rubber and plastics company Phoenix AG in 2004, and the automotive electronics unit of Motorola in 2006. Continental acquired Siemens VDO from Siemens AG in 2007. In Argentina, teamed up with FATE in 1999 for the production of tires for cars, trucks, and buses and exports the production of the San Fernando plant to the rest of South America. In 2007, the company began to construct a plant in Costa Rica to produce powertrain components for North America. The plant was to open in two phases and ultimately employ 550 workers. Continental also produces wheels for mountain bikes and rubber soles for Adidas running shoes. In November 2018, Continental purchased Kmart Tyre and Auto in Australia from Wesfarmers for A$350 million. Body & Security is leading the development of Vehicle Electronics and Cabin Control Systems, with Research and Development Locations in Germany, Singapore, India, Mexico, US, and China as well as in many other locations around the world, allowing a global reach to nearly every market region. When Continental decided to purchase ITT Industries' brake and chassis business for $1.93 billion in 1998, the head of ITT's brake division, Juergen M. Geissinger, was hired as the CEO of the family-owned bearing and auto parts manufacturer Schaeffler Group. Ten years later, Geissinger returned to Continental with mother and son owners Maria-Elisabeth and Georg Schaeffler and a consortium of banks, to buy control of the company. Continental appeared to have overextended itself with the acquisition of Siemens’ VDO automotive unit in 2007 for €11.4 billion and had lost almost half of its market capitalisation since. In August 2008 and after a protracted standoff, Continental agreed to be taken over by the Schaeffler Group in a deal that valued the company at approximately €12 billion. Schaeffler in return agreed to limit its position to less than 50% for a period of four years and support Continental's ongoing strategy. This arrangement was overseen by former German Chancellor Gerhard Schroeder At Continental's 2013 annual shareholder meeting Schaeffler gave notice that it will terminate its mutual investment agreement with Continental in May 2014. Continental's CEO Elmar Degenhart commented, "Notice of termination of the investment agreement is understandable from the vantage point of Schaeffler, our anchor shareholder. We are confident that the two companies will continue their very good and goal-oriented cooperation on into the future." Continental's CEO Manfred Wennemer, who had opposed Schaeffler's offer, resigned and was succeeded by Karl-Thomas Neumann on 1 September 2008. Less than one year later, Schaeffler's CEO Juergen Geissinger succeeded in installing his longtime confidant (and former leader and later head of ITT Teves/Continental Brake and Chassis Division) Elmar Degenhart, the head of his automotive division, as the new chief executive of Continental, ousting Neumann. Continental Tire entered the North American tire industry with its 1987 purchase of General Tire from GenCorp, forming Continental General Tire Corp . At the time, Continental was following other tire manufacturers, such as Bridgestone and Michelin, into the American tire market. The headquarters for North and South American tire divisions is located in the Charlotte metropolitan area at Fort Mill, South Carolina. The North American headquarters of the CAS division are located in Auburn Hills, Michigan, directly east of the Great Lakes Crossing mall. Continental also has a research and development arm in the tech heavy Silicon Valley where, among other things, the company focuses on developing technologies supporting autonomous driving vehicles. The company announced that effective 1 January 2006, it would implement massive cuts on health care for retirees across the country. After a class-action lawsuit, the company and United Steelworkers union, representing the retirees, agreed to a settlement whereby the company would continue to fund benefits. Later that year, it announced it would cease tire production in Charlotte, North Carolina. and would close its tire production plant in Mayfield, Kentucky. In 2011, CTA announced that it would build a plant in Sumter, South Carolina. The plant will cost about $500 million and employ 1,600 workers by 2020. In February 2016, CTA announced that it would build a Commercial Tire plant in Clinton, Mississippi, with an investment totaling approximately $1.4 billion and employing 2,500 people when the plant reaches full capacity in the next decade. In October 2016, CTA purchased Hoosier Racing Tire. Continental was one of the companies bidding to work with GM to provide the battery pack for the Chevrolet Volt extended-range electric vehicle (E-REV). It is the primary contractor for a system using lithium-ion batteries from A123 Systems. GM instead signed a contract to assemble packs with cells purchased from Compact Power. The German branch of Continental AG has acquired the Fairlawn, Ohio-based rubber company Veyance Technologies Inc. Veyance will be integrated into the company’s ContiTech division, and will serve as the regional home office for ContiTech in North America. The Brazilian antitrust authority Council for Economic Defence, or CADE, made it official on January 29, 2015, described in a press release on the 30th, from the company. The total transition was $1.6 billion. The company will divest Veyance’s NAFTA air springs business in Mexico and its Brazilian steel-cord belting business in response to some of the concerns raised by antitrust authorities, the release said, employing about 600 people work in those operations. ^ "Continental Automotive -The Automotive Group of Continental AG - Innovations for a Mobile Automotive Future". conti-online.com. ^ a b c d e "Continental Official Website" (PDF). ^ "2017 Annual Report" (PDF). continental-corporation.com. Retrieved 15 May 2018. ^ "The History of General Tire from 1915 up to now". General Tire. 27 January 2005. Retrieved 2 May 2012. ^ "History 1871 - 1926". Continental Corporation. Retrieved 2 May 2012. ^ "History". Continental USA. Retrieved 1 February 2019. ^ a b Dougherty, Carter (28 August 2007). "Continental sets about integrating Siemens VDO". The New York Times. Retrieved 3 January 2013. ^ "Top suppliers" (PDF). Automotive News. Crain Communications. 17 June 2013. Retrieved 30 March 2016. ^ a b Christoph Hammerschmidt (14 July 2008). "Hunter Continental AG now becomes the hunted". EE Times. UBM Tech. Retrieved 6 January 2013. ^ a b "Schaeffler wins battle on Continental chief". The Financial Times. The Financial Times Ltd. 12 August 2009. Retrieved 6 January 2013. ^ Tschampa, Dorothee (6 September 2012). "Continental Back in German DAX After Schaeffler Recovery". Bloomberg News. Bloomberg L.P. Retrieved 3 January 2013. ^ "Continental Corporation -Shareholder Breakdown, Notification of Voting Rights". Continental AG. Retrieved 7 July 2015. ^ "Viking Tyre Global Site". Retrieved 3 December 2018. ^ "Continental General Tire Corp". Funding Universe. Retrieved 2 May 2012. ^ a b "German Autoparts Company Begins Investment in Costa Rica". Inside Costa Rica. 17 October 2007. Retrieved 2 May 2012. ^ "History 1997-2010". Continental Corporation. Retrieved 2 May 2012. ^ Carter Dougherty (28 August 2007). "Continental sets about integrating Siemens VDO". The New York Times. NYTimes.com. Retrieved 2 May 2012. ^ "Fate se asoció a Continental". Lanacion.com.ar. Retrieved 3 April 2012. ^ "Blog de las Marcas: Historia de Fate". Blogdelasmarcas.blogspot.com. Retrieved 3 April 2012. ^ Druce, Alex (1 November 2018). "Sale of Kmart Tyre and Auto finalised". Australian Associated Press. Retrieved 2 November 2018. ^ "Continental Automotive -The Business Units – Integrated and specialized". www.continental-automotive.com. Archived from the original on 23 August 2016. Retrieved 10 August 2016. ^ "Continental Automotive - Body & Security (BS)". www.continental-automotive.com. Archived from the original on 15 September 2016. Retrieved 31 August 2016. ^ "Continental Automotive -Our locations – worldwide presence". 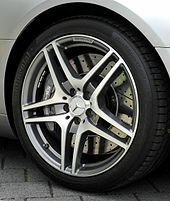 www.continental-automotive.com. Archived from the original on 15 September 2016. Retrieved 31 August 2016. ^ Staff writers (28 July 1998). "Continental A.G. in $1.93 Billion Deal". The New York Times. The New York Times Company. Retrieved 3 January 2013. ^ Jann Bettinga and Sheenagh Matthews (28 January 2009). "Billionaire Schaeffler Shunned School to Lead Company". Bloomberg L.P. Retrieved 3 January 2013. ^ Schaeffler AG Press Release (16 July 2008). "Schaeffler Group seeks strategic shareholding in Continental AG". Schaeffler AG & Co. KG. Retrieved 7 January 2013. ^ "Schaeffler agrees to limit Continental stake". The Economic Times. Bennett, Coleman & Co. Ltd. 21 August 2008. Retrieved 6 January 2013. ^ "Continental concludes far-reaching Investment Agreement with Schaeffler". Continental AG. 21 August 2008. Retrieved 6 January 2013. ^ a b "Schaeffler Ending Conti Investment Agreement". Tire Review. Babcox Media. 14 May 2013. Retrieved 4 July 2013. ^ Schuetze, Arno (23 August 2008). "Continental appoints Neumann as new CEO". FinanzNachrichten.de. AFX News. Retrieved 7 January 2013. ^ "Company Profile, Information, Business Description, and History". Continental Corporation. Retrieved 2 May 2012. ^ "USW Lawsuit Results in Continental Tire Agreeing to Provide Retiree Health Care" (Press release). Reuters.com. 16 April 2008. Archived from the original on 5 July 2013. Retrieved 2 May 2012. ^ Fuchs, Roberta (10 March 2006). "Continental may halt production, lay off 478". Charlotte Business Journal. bizjorunals.com. Retrieved 2 May 2012. ^ "Continental Tire to close Kentucky plant". Charlotte Business Journal. bizjorunals.com. 2 August 2006. Retrieved 2 May 2012. ^ Woodall, Bernie (6 October 2011). "Continental to build tire plant in S. Carolina". reuters.com. Reuters. Retrieved 2 May 2012. ^ Green, Jeff; Ortolani, Alex (12 January 2009). "GM to Build Michigan Plant to Supply Volt Batteries". Bloomberg.com. Retrieved 2 May 2012. ^ Jin, Hyunjoo (14 November 2010). "LG Chem sees more battery orders for GM's Volt in 2011". Reuters.com. Reuters. Retrieved 2 May 2012. ^ "Automotive News PACE Awards". www.autonews.com. Retrieved 11 September 2016. ^ "Continental Corporation -Honda and Continental Honored with 2016 Automotive News PACE Innovation Partnership Award". www.continental-corporation.com. Retrieved 11 September 2016. ^ http://www.proglyphics.com. "Automotive News PACE Awards". www.autonews.com. Retrieved 11 September 2016. ^ "Supervisory Board / Committees". Continental AG. Retrieved 4 January 2013. ^ McAfferty, Rachel Abbey. "Continental AG closes $1.6 billion acquisition of Fairlawn-based Veyance Technologies Inc". crainscleveland.com. Cleveland Business. Retrieved 27 February 2015. Wikimedia Commons has media related to Continental AG.